Davidson Dermatology (Mt Pleasant) - Book Appointment Online! 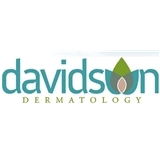 Davidson Dermatology specializes in medical and surgical dermatology as well as cosmetic services. We treat medical conditions of skin, hair and nails including skin cancer, acne, immune disorders and infections. We also offer a state-of-the-art complete aesthetic workstation: elos® Plus. We perform Sublime™ skin contouring, Sublative® wrinkle reduction, acne scarring treatment, pigmented and small vascular lesion treatment and hair removal. We offer Botox, Dysport and Xeomin injections, fillers, and kybella. We treat patients of all ages and take most insurance plans including Medicare. We have extended office hours on Mon / Wed / Thurs, where we see patients up to 6 pm. We carry all zinc-based sunscreens from Elta as well as Revision and Jane Iredale skin care lines. Dr Davidson is the BEST!! Love her thoroughness and complete explanation of every possible concern.